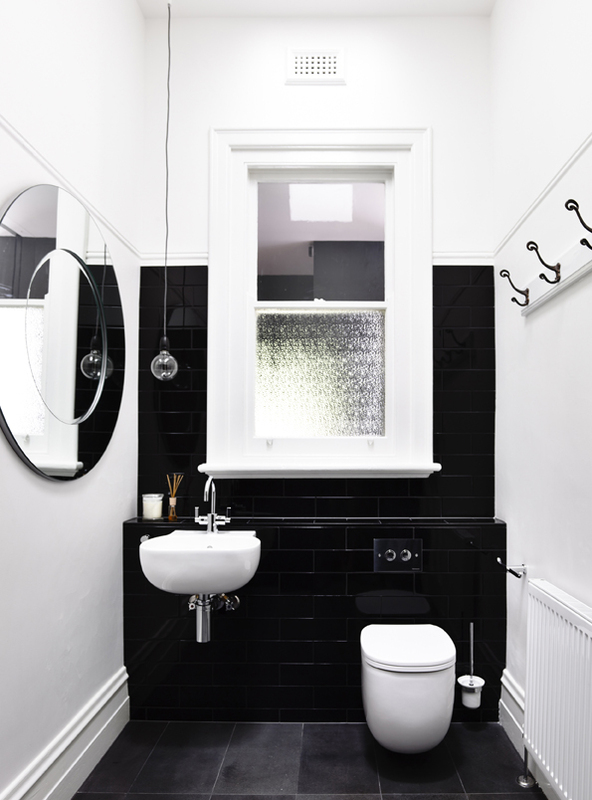 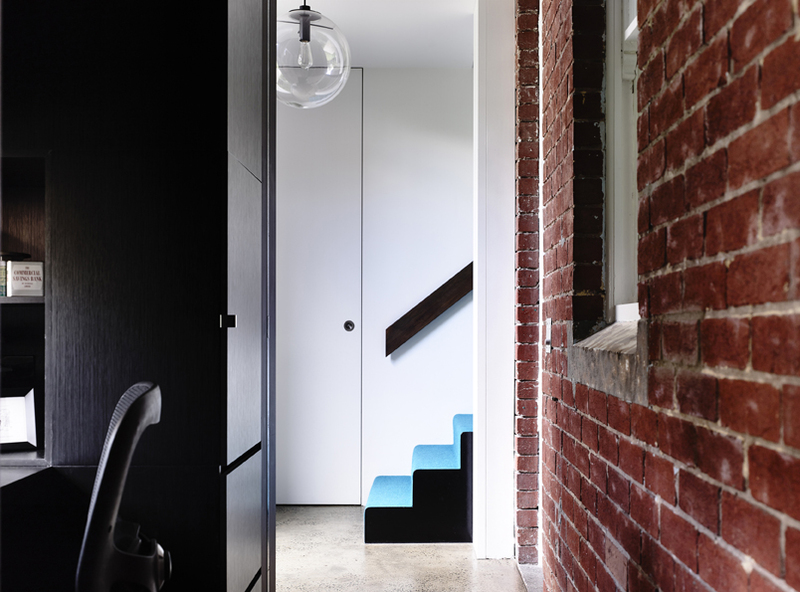 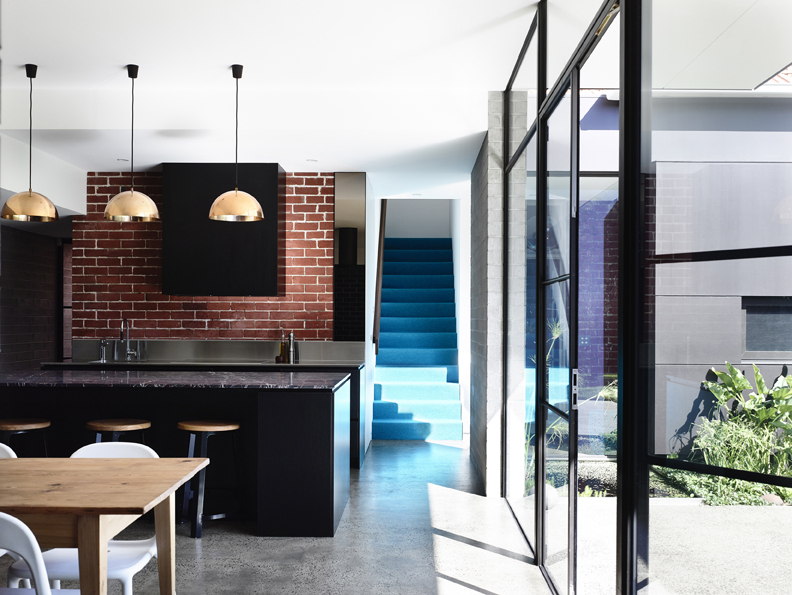 Elwood House features the adaptive reuse and transformation of a cold, dark and inefficient 1915 Edwardian house into a warm and light filled family home that has direct connections to the outside. 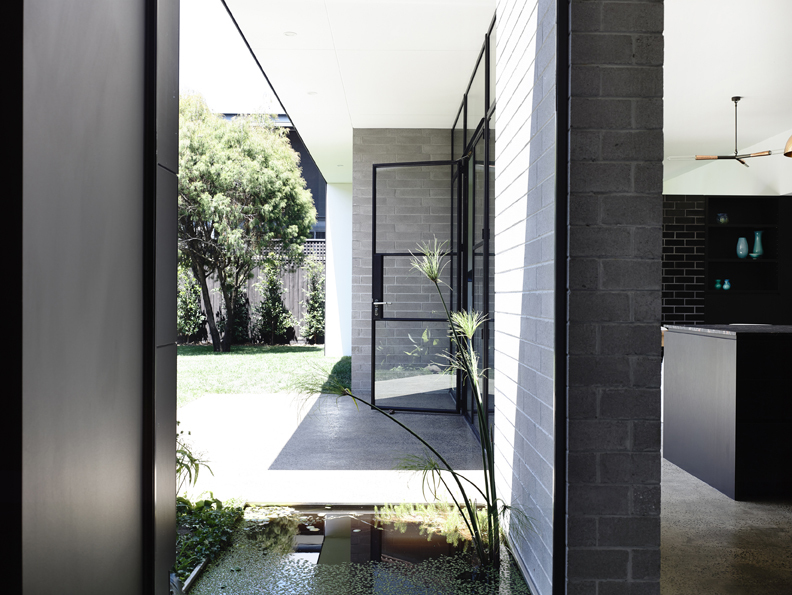 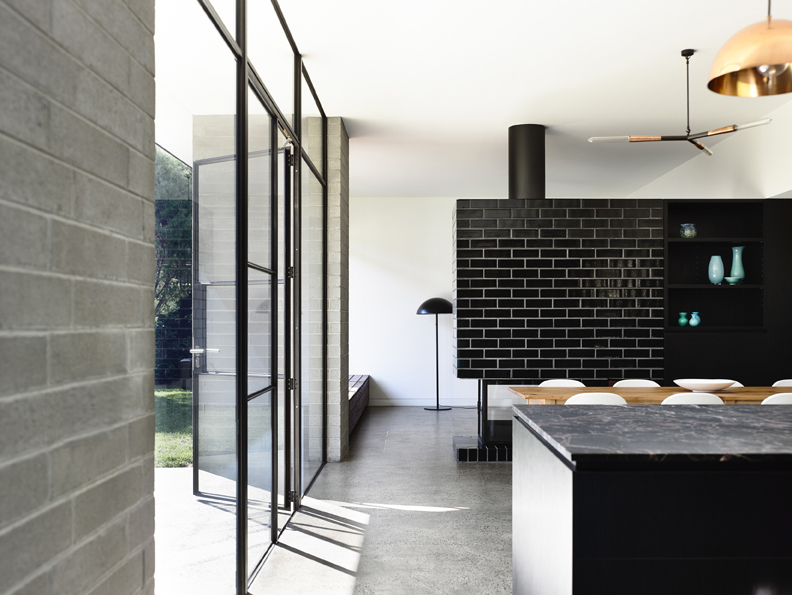 The new material palette of concrete block, brick, timber and polished concrete complement the original red brick and stucco house. 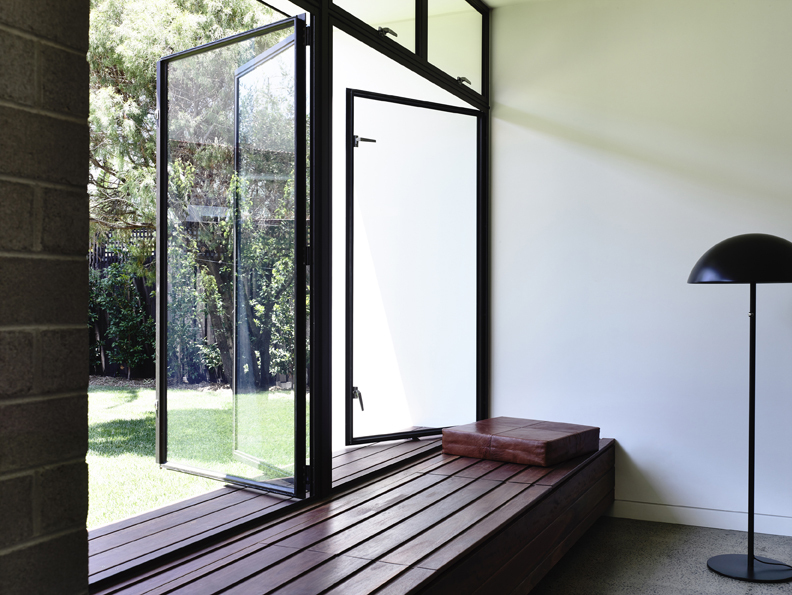 Full height north-facing steel framed doors and windows allow natural light into the new living area extension opening up the new living spaces to the rear garden. 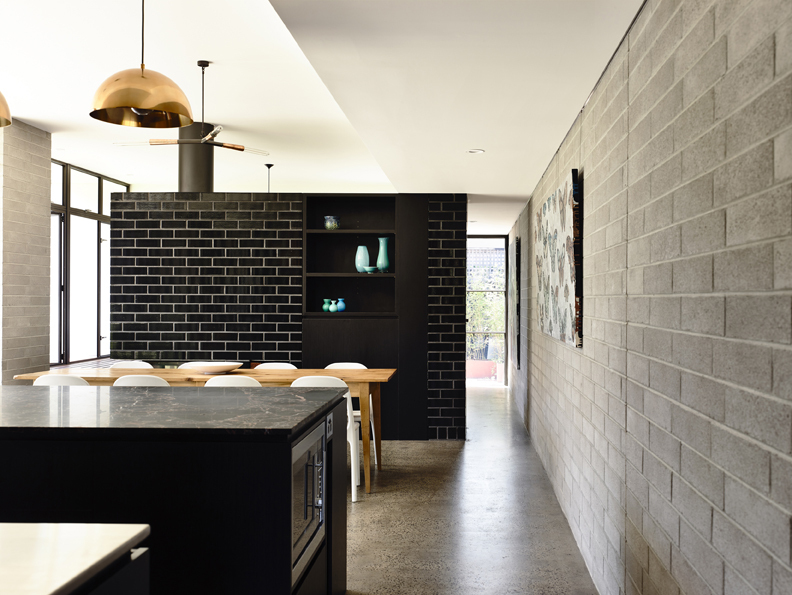 Black glazed bricks were selected for the dividing fireplace element between the living and dining areas accentuating the drama between textures and materials.